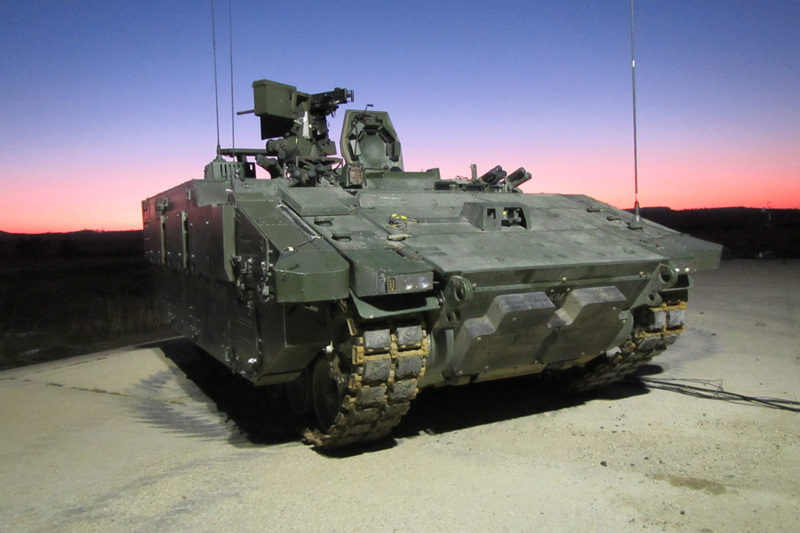 Oakdale, South Wales – General Dynamics Land Systems–UK has successfully completed initial manned live firing tests onboard an ARES vehicle, a member of the AJAX family of Armoured Fighting Vehicles, at a range in Dorset, England. The manned firing trials tested the performance of the three weapons that can be mounted to the Kongsberg PROTECTOR Remote Weapon System: General Purpose Machine Gun (GPMG), Heavy Machine Gun (HMG) and Grenade Machine Gun (GMG). This was the first manned firing test for an AJAX variant. During the trial, General Dynamics Land Systems–UK crews fired from within the vehicles to gather critical data to demonstrate the platform’s ability to accurately and consistently engage specific targets at varying distances. General Dynamics Land Systems–UK will undertake a five-month manned live firing trial of the turreted AJAX variant in 2017, which includes the firing of all onboard weapons systems, including the CTA International 40mm cannon. The range of AJAX variants will allow British Army ‘Strike Brigades’ to conduct sustained, expeditionary, full-spectrum and network-enabled operations with a reduced logistics footprint. They will operate in combined-arms and multinational situations across a wide-range of future operating environments. The first British Army squadron will be equipped by mid-2019 to allow conversion to begin with a brigade ready to deploy from the end of 2020.